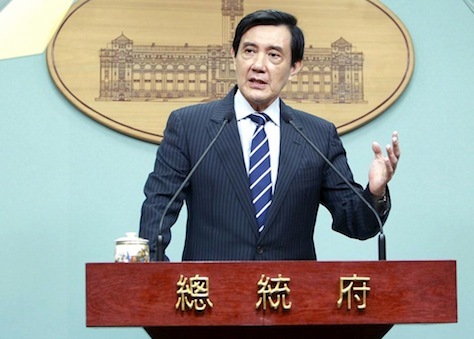 As far as Taiwanese public opinion goes, the relatively pro-Chinese stand of president Ma Ying-jeou (馬英九) has been a disaster, especially in his second term. When he leaves office early next year, Ma will do so as one of the most unpopular Taiwanese leaders in memory, stirring a popular revolt last year among Taiwanese citizens who believe his government has been too quick to cozy up to Beijing. 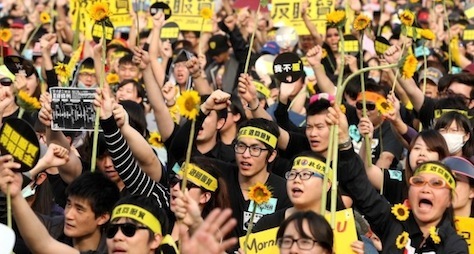 The student-led ‘Sunflower movement’ protests so rattled Ma’s government that he abandoned what he hoped would become one of his administration’s most important policy achievements — the Cross-Strait Service Trade Agreement, which would have liberalized many service sectors between mainland China and Taiwan, including tourism, finance and communications. Though Ma concluded negotiations with Beijing over the CSSTA, the Taiwanese parliament still hasn’t ratified the agreement. Ma’s decision to meet with Chinese president Xi Jinping (习近平) today is not necessarily a popular decision back home — and its swift announcement earlier this week was a bombshell in the campaign for Taiwanese elections just nine weeks away. With just months left in office, his ruling party, the Kuomintang (KMT, 中國國民黨), is far behind in the presidential race. For the first time in Taiwan’s history, the Kuomintang and its allies that form the Pan-Blue Coalition could lose control of Taiwan’s parliament. The Kuomintang’s first presidential candidate, Hung Hsiu-chu (洪秀柱), the vice president of the Legislative Yuan (立法院), Taiwan’s unicameral legislature, sunk so low in polls since becoming the KMT presidential nominee in July that the party dumped her last month. Her replacement, Eric Chu (朱立倫), the party chairman and, since 2010, the mayor of New Taipei, is gaining little traction. Neither Ma nor Xi are expected to announce any new policies or make any joint statements as a result of the meeting taking place today at Singapore’s Shangri-La Hotel, on ‘neutral’ ground. That’s not necessarily a problem, though, because the fact that the two are meeting on (relatively) equal — Ma as the head of the Kuomintang and Xi as the head of the Chinese Communist Party (CCP, 中国共产党) — is historic in its own right. Given that so much of Ma’s unpopularity stems from his pro-China stand, his meeting today in Singapore may well doom the Kuomintang’s chances entirely in January’s general election. Indeed, the party’s low standing in public opinion may have made it eaiser for Ma to engage Xi. The near-certainty of losing power might have liberated Ma toward a historic meeting that will almost certainly have long-term benefits for better cross-straits relations. In one sense, Ma’s position follows naturally from the force of economic gravity — 27% of Taiwan’s exports now go to China, and another 13% go to Hong Kong. Direct flights between Taipei and Beijing are now commonplace, trade continues to rise and mainland tourists are no longer a rare sight. Though Taiwan has the world’s 19th largest economy and incomes are far higher in Taiwan than on the mainland, China’s growing economic prowess (even as it may be headed into recession) is simply a matter of fact. Among the issues Ma expected to raise with Xi: a direct hotline between Taipei and Beijing, greater cooperation from Beijing in dealing with Taiwan’s murky international status and Xi’s change of heart in inviting Taiwan to join the Beijing-led Asia Infrastructure Investment Bank that Xi formed last year as a counterweight to US-dominated global financial institutions. Xi, a ‘princeling’ whose father was a top Party official, is expected to head the mainland Chinese government through 2022, has more thoroughly dominated the CCP than any leader since perhaps Mao Zedong, waging a widespread campaign against corruption within the Party that has snared so many top officials that critics argue it functions as a purge of Xi’s internal rivals. Fresh off meetings to design China’s next five-year economic program, Xi’s government has been particularly aggressive, if not successful, about ameliorating economic headwinds, including failed efforts to stop a Chinese stock market crash over the summer. Two weeks ago, China formally ended its ‘one-child’ policy, and Xi’s government has worked with the United States to establish goals to reduce Chinese (and global) carbon emissions in the next two decades, plans that will take center stage at the international summit on climate change next month in Paris. Nevertheless, the Chinese economy faces a difficult patch as its working population ages and it transitions from top-down growth built on internal improvements and an economy based on manufactured exports produced mainly along China’s dense eastern coast. Politically, Xi has gradually cracked down on dissent and tightened internal controls on Internet freedom. Nevertheless, he faces an angry Hong Kong population that has demanded a greater voice in choosing who will be eligible to stand for chief executive in 2017. Relations between Beijing and China’s western ethnic communities, such as the Uyghurs and the Tibetans, are still strained. The last thing Xi wants is a reversal of Beijing’s gains with Taiwan since 2008. It’s been Xi (and not Ma) who has resisted a meeting in the past; Xi’s accession to today’s meeting reflects that growing economic ties alone are not enough to secure those gains. Photo credit to Reuters / Toby Chang. In Hong Kong, they may be protesting with umbrellas, but in Taiwan earlier this year, it was sunflowers. As Beijing locks itself into what now seems like a needless showdown with the pro-democracy activists who have formed Hong Kong’s ‘Occupy Central with Peace and Love,’ among the chief incentives for proceeding with caution are mainland China’s relations with the Republic of China (ROC), the island of Taiwan, which split from the People’s Republic of China (PRC) in 1949 in the aftermath of the Chinese civil war and which has maintained its de facto sovereignty ever since, to the annoyance of decades of Chinese leadership. RELATED: Hong Kong — one country, one-and-a-half systems? Even as Western commentators trot out tired comparisons to the 1989 Tiananmen Square protests and crackdown (at a time when Hong Kong’s British colonial governors were not prioritizing democratization in any form), the Hong Kong protests have a readier comparison to the ‘Sunflower Student’ movement in Taiwan earlier this spring, when another group of protesters demonstrated against closer ties between Taiwan and the PRC. 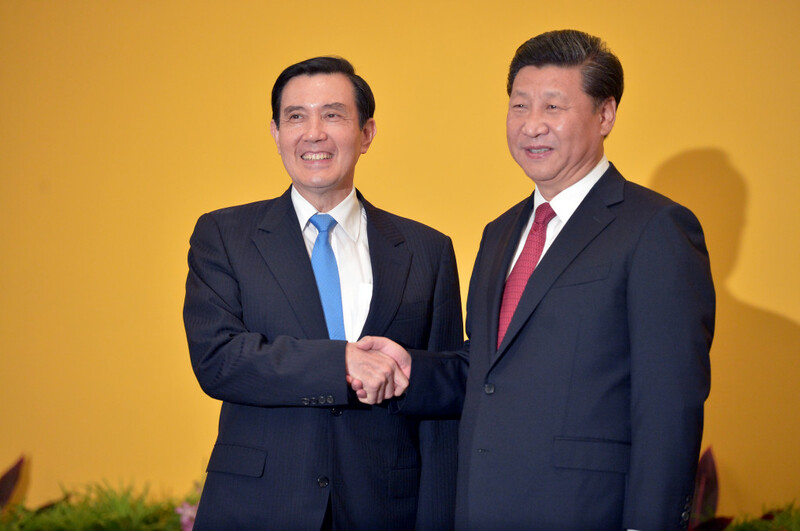 In June 2013, Taiwanese president Ma Ying-jeou (馬英九) and the ruling Kuomintang (中國國民黨) signed the Cross-Strait Service Trade Agreement with mainland China, which would liberalize trade in services between Beijing and Taipei, including, most controversially, tourism, finance and communications. When Ma (pictured above) tried to push the CSSTA through the Taiwanese legislature without as much political deliberation as promised, an already skeptical Taiwanese opposition howled, and CSSTA protesters occupied the Legislative Yuan (立法院) to stop Ma’s push to ratify the agreement. Today, Taiwan’s legislature still hasn’t approved the CSSTA. “We fully understand and support Hong Kong people in their call for full universal suffrage,” Ma told a gathering of business leaders in Taipei. Cross-Straits relations have crested and ebbed over the last 65 years, but today it’s indisputable that Taiwan and mainland China have more ties than ever. Since 2008, direct flights between Taiwan and China have greatly intertwined the two economies, and a deluge of Chinese investment has taken root in Taiwan. While Hong Kong and Taiwan have very different histories and relationships with the PRC, they share many similarities, so it’s not surprising to see so many similarities between the two popular anti-Beijing movements that swept across both jurisdictions in 2014. In the second half of the 20th century, Taiwan and Hong Kong both became magnets for defectors from the Chinese Communist Party (中国共产党), and both Taiwan and Hong Kong became pockets of economic prosperity while mainland China languished under Mao Zedong (毛泽东) and his fearsome reign of socialism, rural famine and political terror. Throughout, both Hong Kong and Taiwan developed particular cultural identities, such that majorities in both places see themselves today as Hong Kongers and Taiwanese rather than Chinese.